Training dogs at home rather than at our training facility is an effective way to ensure that your dog will be obedient and well-behaved in his or her ‘territory’. Training a dog with the family teaches both the family and the dog. It’s better to train puppies at home from a young age. Doing so teaches it right away that it needs to behave and has it learn the rules of living with your family. Similarly, you can set up a small agility course at your home to start agility dog training in order to release the dog of any extra energy so that he or she doesnt chew on furniture or shoes. 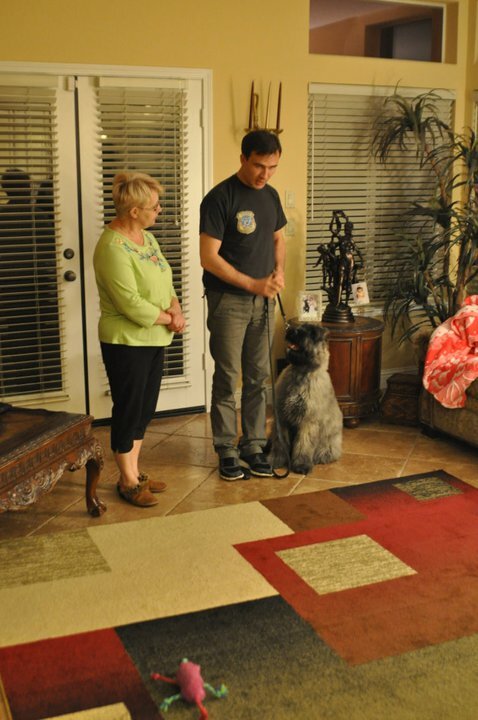 It would also be beneficial for a member of the family to go through the “Trainer for your Dog” course. 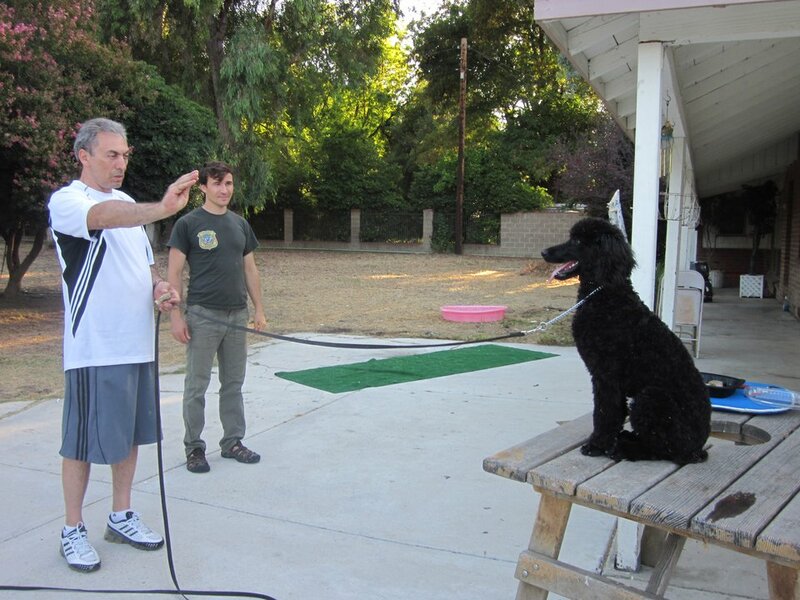 Dog training is a great hobby to have in order to maintain the best relations with your beloved pet. During obedience dog training at your home, we might run into these problems: dog is ruining furniture, is chewing on books or shoes, pulls on the leash, barks and bothers the neighbors. When guests come into your home, she jumps on your guests and gets them dirty. Starting from when they’re a puppy, we make them behaved and obedient. An obedient dog that greets guests patiently waits at its place and doesn’t get in the way of you when you’re opening the door for them. The dog waits patiently until you allow him or her to greet the guests. If you don’t allow them to get up, then they patiently wait. A trained dog won’t steal food from the table because it has its own place from which it eats where you bring food to it. If he or she ruins furniture, books, or shoes, we will train them to not do so, and to use toys as an outlet for their energy. We also use special agility dog training where he or she runs and jumps enough so that he or she can happily rest at home. A dog that went through puppy training won’t start tantrums when being left at home, and won’t bother the neighbors, so that they can be trained. During a walk, the dog shouldn’t pull on the leash because the dog’s training taught him or her how to properly walk alongside your leg, and not pull you everywhere, leading to discomfort. A family dog can walk properly in public places because the dog is trained and the owner wants to not only spend time with his family, but also with his dog. If you feel that your dog might have an aggression problem – do not wait! Call us today (818) 290-9411 or register online!